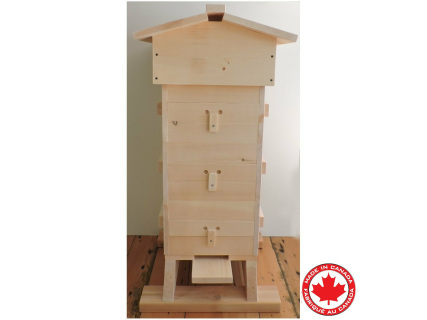 Canada Beehives is a family run business located in London, Ontario, Canada where one of our specialities is building Warre Hives. Warre Bee Hives promote honey bee health, are eco friendly and honey bee friendly and are built from sustainable products in Canada for Canadians. Warre Hives: helping to save honey bees one hive at a time. FREE SHIPPING across Canada on orders over $100. Some restrictions apply to remote areas. 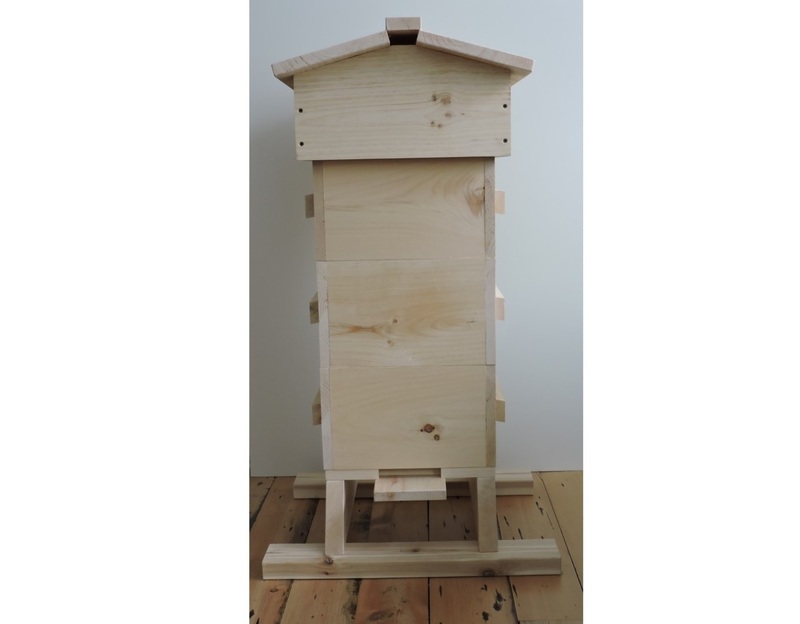 The Warre hive was invented by Abbé Warré (1867-1951) after his experimentation with some 350 designs with the aim of producing a hive that was simple, economical, bee-friendly and assured a surplus for the beekeeper. He dubbed his design "the people's hive" which is now more commonly referred to as the Warre Hive. In his book, Warre predicted the downfall of bee keeping that we are seeing today with the proliferation of bee diseases. He attributed the cause of this decline to be the adoption of "modern bee keeping methods", namely, framed hive designs that focused on the increase of honey production over bee health. He sought to correct this with his hive design. Now, some 75 years later, the Warre Hive has greatly increased in popularity among bee keepers who choose to put bee health first. 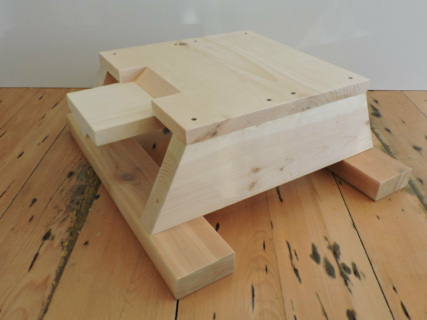 We, at Canada Beehives, are in the business of promoting honey bee health and chose the Warre Hive as one of our models for production because of it. It is also arguable that a healthier hive will lead to greater longevities in honey production overall. The Warre Hive is a vertical top bar design with no frames. It is the best choice for anyone looking to go the natural beekeeping route in colder environments. The concept was designed around making a hive that mimicked the honey bees natural home, a hollowed out tree, while still making it possible to manage the hive. 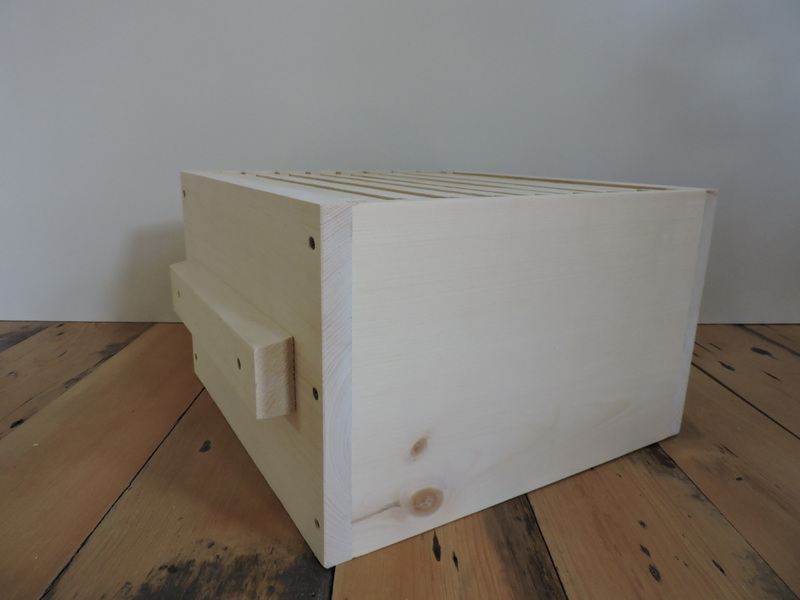 The hive boxes are square and narrower then other common framed hives. 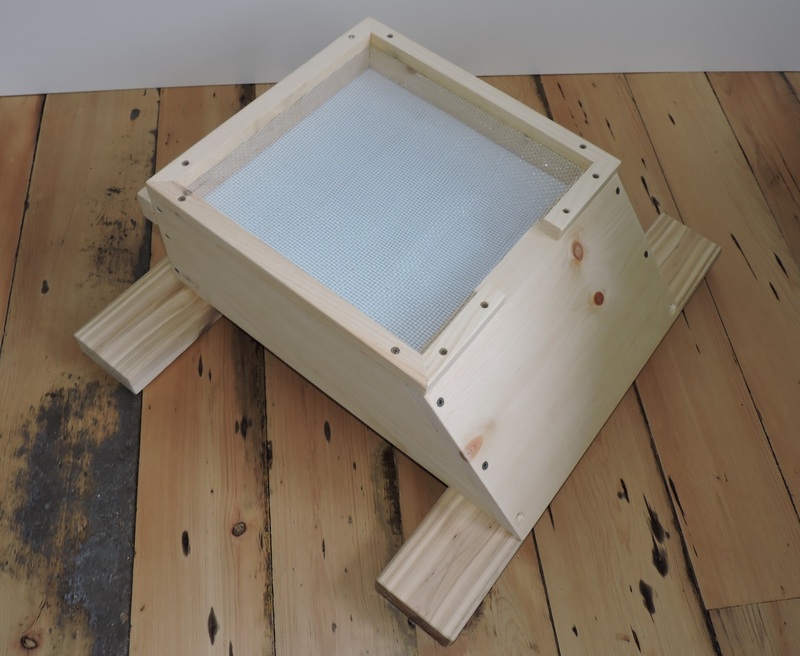 This is preferable for over wintering as the smaller hive volume allows the bees to regulate their temperature better. Additionally, the bees make better use of their honey stores as they start at the bottom of the hive and move upwards over the winter. In larger langstroth hives, it is not uncommon for bees to miss honey at the perimeter of the hive, get stuck at the top and starve even though there is still honey remaining. The Hive boxes are equipped with top bars. The bees draw their own comb down from these bars naturally. Natural comb allows bees to make their natural cell size, where as, most framed hives unnaturally force large cell sizes which have been shown to promote Varrowa reproduction. There are a host of other reasons why natural comb is better for bee health as Warre describes in his book (see link below). Needless to say, natural comb is better for hive health. The next key feature of the Warre hive is the quilt. This is a burlap covered box that sits over the top hive box. 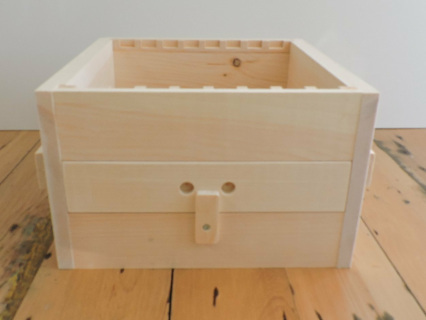 It is filled with saw dust or other natural absorbent materials. There are two functions to the quilt; one is to provide insulation to the hive in the winter, the second, and more important function, is it's ability to absorb and dissipate moisture. When bees consume honey over the winter, this consumption turns into moisture which is released into the air in the hive. 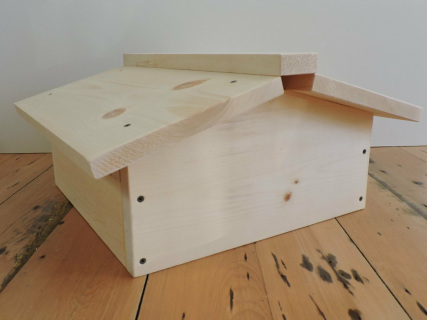 This moisture can be an issue with many hive designs because it will rise, condense on the top cover and either freeze or drip back down on the bees which can lead to hive deaths. The quilt absorbs this moisture, preventing it from dripping back on the bees. 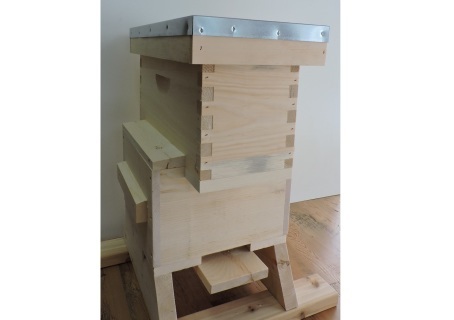 Our basic Warre Beehive products can be seen in the photos at the right of this page. To view additional images or place an order, please click on View Details. A link to Warre's book "Bee Keeping for All" is below. We encourage everyone to read it.